LOUIS VUITTON PORTABLE WHISKEY BAR | muted. You know what’s better than a whisker bar? A portable whiskey bar, of course. It’s not the stuff of legend and dreams as this stylish piece from Louis Vuitton shows. The Louis Vuitton Portable Whiskey Bar ($39K) was built in the 1980’s and is a sophisticated and elegant kit that will make you feel right at home wherever you might be. Lined with Epi leather and featuring gold plated studs this retro case is all original with original locks and latches, and it’s very own key. But let’s get to the good stuff. The interior is lined with a deep green and wondrously grained leather and fitted with everything a whiskey drinker could need. 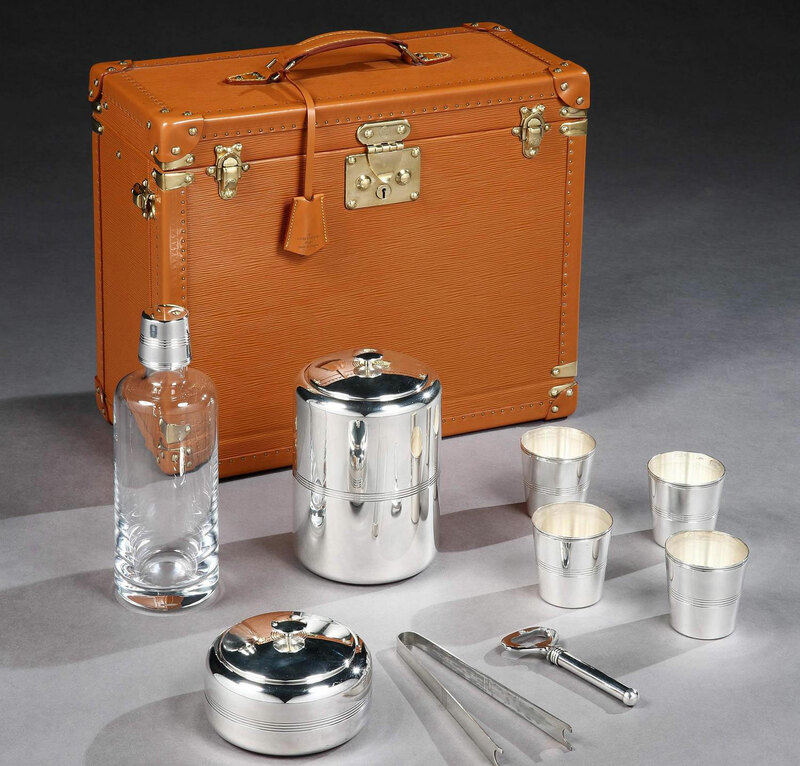 Including a silver mounted whiskey carafe, four high-quality whiskey beakers, and even a thermos-lined ice bucket.